Lunabee: custom vinyl toy art: Imhotep is revealed! 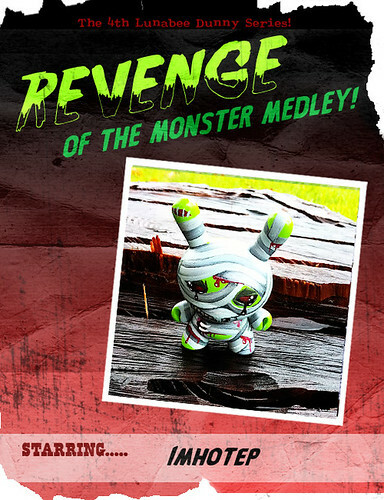 The 4th reveal in the Revenge of the Monster Medley series! The fourth reveal is the mummy of all mummies, Imhotep! Best not get in this guys way..